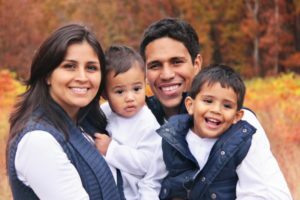 The Secrets to Finding the Right Family Dentist in San Antonio! When the spring season hits, something happens inside of you that makes you want to clean, clean, clean! That desire for cleanliness applies to the oral health of your family as well, which is why you’re eager to find the right family dentist in San Antonio to provide care. The problem is that you’re not sure how to determine which professional is the perfect fit. If only there were some simple guidelines that you could use. Well there are, and you’ll learn about them as you continue reading. Experience with Different Age Groups – The dentist you choose to work with should have experience working with a wide age range, so that he can easily accommodate children and adults. The Right Temperament – Patience is also very important. The care provider needs to possess the right temperament to effectively communicate with and understand children. Atmosphere – When you arrive at the dentist’s office, it should make everyone in the family feel a sense of comfort. Credentials – It’s also very important that your dentist possess the necessary training from a reputable institution to provide the unique care needed for your entire household. Convenient Location – Is your new dentist conveniently located? This is very important when identifying the professional who will care for your whole family. He should be easy to get to, especially in emergency situations. The Right Equipment – Given that children and adults vary in sizes, it’s necessary that your local professional has the right equipment to accommodate various age groups. It’s quite commendable that you are taking the initiative to search for a children’s dentist in San Antonio because it allows you to be on the proactive side of your family’s oral health. Thus, your entire household will be able to enjoy the full benefits that preventive care has to offer, which includes maintaining the complete, healthy function of their teeth and beautiful smiles. The process starts by simply giving your local dentist’s office a call to schedule your first appointment and going online to fill out a new-patient form. This way, you’ll save yourself some time when you arrive for your first visit. Just like that – you’ll be on the road to excellent oral health for you and your family! Dr. Justin J. Gonzalez earned his Doctor of Dental Surgery degree from the University of Texas Health Science Center in San Antonio, and then went on a quest to provide oral care to the underprivileged of South Texas and various Mexican border towns. This certified provider of Invisalign still strives to grow by attending continuing education courses and maintaining membership with several professional organizations. Dr. Gonzalez practices at San Pedro Smiles and can be reached for more information through his website. Comments Off on The Secrets to Finding the Right Family Dentist in San Antonio!